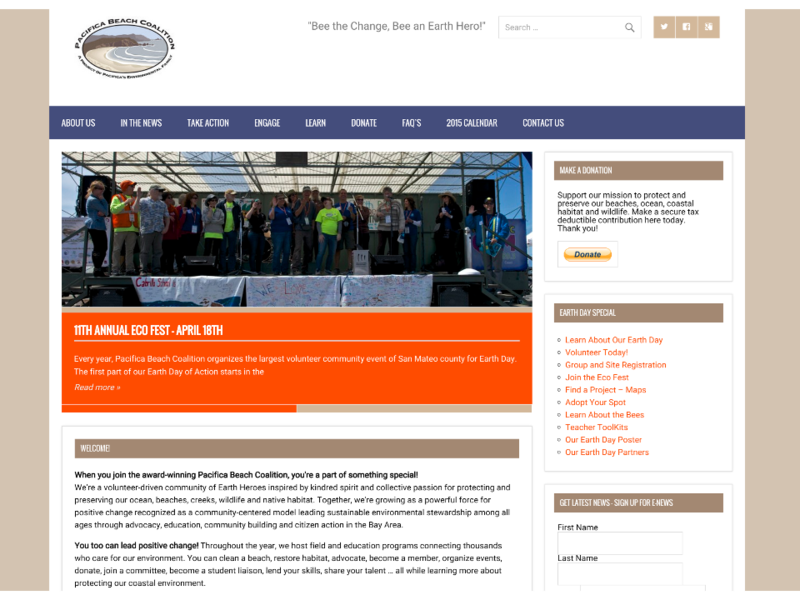 Fat Frog Fixes team provided the Pacifica Beach Coalition with a website far beyond our collective imagination. It is at once visually attractive, designed with the visitor in mind, is very easy to navigate, very well written and provides the public with easy-to-understand information. As they developed the website, they communicated that it would be able to be easily updated by the webmaster or any Pacifica Beach Coalition member. The result was a website that could easily be updated and revised by our membership, which was an important need for our group.